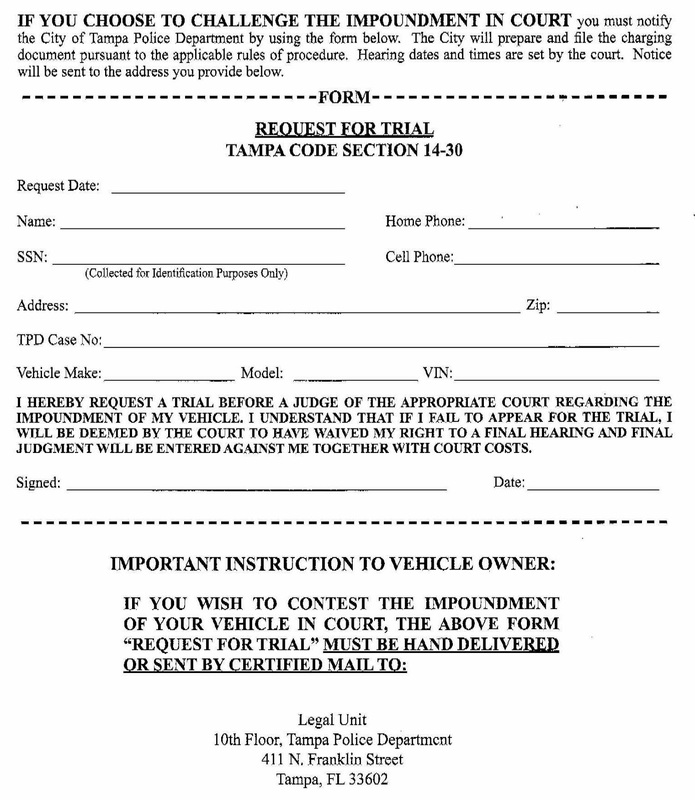 How does the Tampa Police Department Make $500.00 when a vehicle is impounded (even if proven not guilty)? $500.00 when a vehicle is impounded? How does the Tampa Police Department Make $500.00 when a vehicle is impounded? Here is the latest shakedown by our police department. The cops pull someone over and bust them for these misdemeanors and tell the impound yard that in addition to the towing fee, the owner must pay $500.00. How and Why? (2) Was used, intended, or attempted to be used to facilitate the commission or attempted commission of any misdemeanor violation of F.S. Ch. 893 [ Florida's Marijuana, Cannabis, and Drug Law ]; by any owner or co-owner of said vehicle or by any other person utilizing or occupying said vehicle with the express or implied consent of any owner or co-owner. (5) Violation of this section is a civil, not criminal, offense. In any action arising from the impoundment of a motor vehicle pursuant to this section, the court shall determine whether the city has established by clear and convincing evidence that a violation of subsection (b) has occurred.